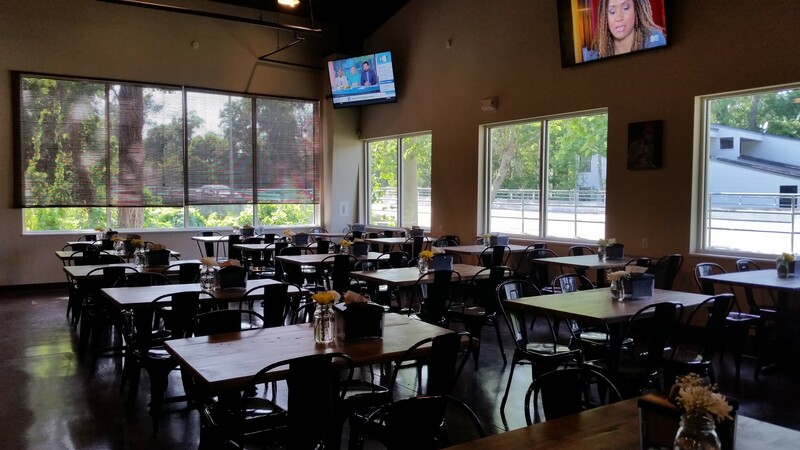 Jacksonville Restaurant Reviews: Home > Beaches > Wicked Barley Brewery – Great New Spot For Bar Food, and Soon…Beer!! It’s an entrepreneurial tale as old as time. 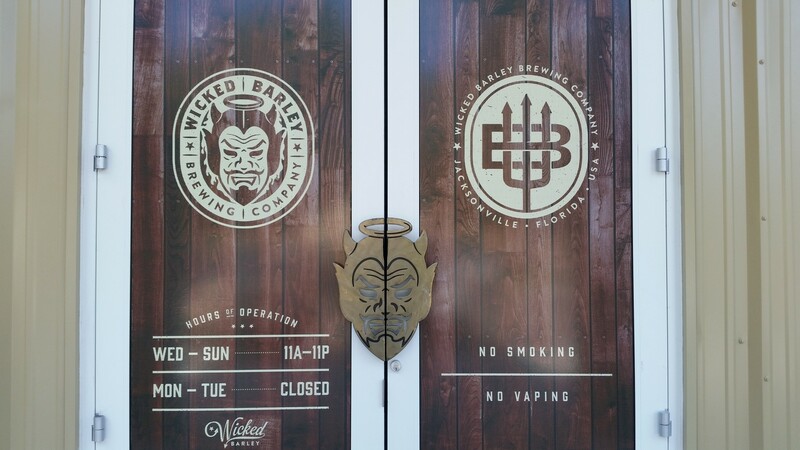 Tired of the 9-to-5 corporate grind, founders of Wicked Barley Brewery, Brett Baker, Philip Maple, Bradley Sueflohn, and Tobin Turney decided to quit the devil they know working for corporate America and venture out the with the devil they don’t know and go into business for themselves. In a day and age where most restaurants fail within the first year, no matter how big and splashy an opening (Sbraga and Co. being the most high profile closure recently), it’s a big risk. It’s not just a restaurant opening; it’s a lifetime of hopes and dreams on the line. It’s years of meeting, planning, financing, and hoop jumping finally coming to fruition. Wicked Barley Brewery is throwing their hat in the lauded and increasingly growing Jacksonville craft beer ring. 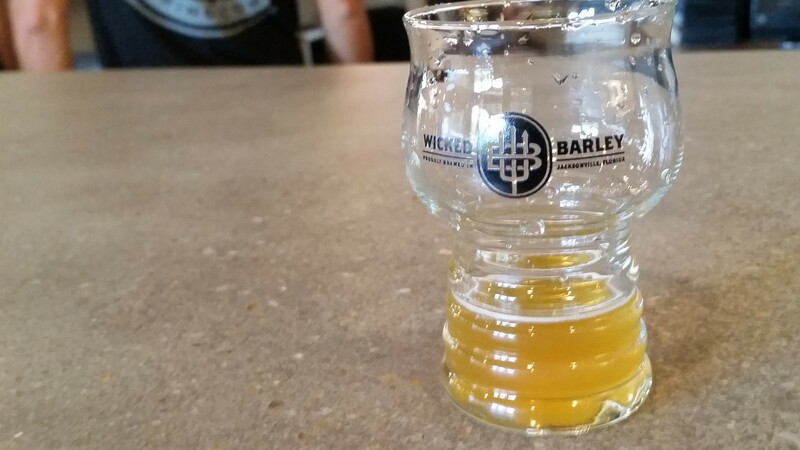 However, Wicked Barley is doing more than trying to be the craft beer of choice among local beer snobs, they want to put their stamp in the also growing gastropub scene by offering not just your usual “pub grub,” but by offering traditional bar food on an elevated level. 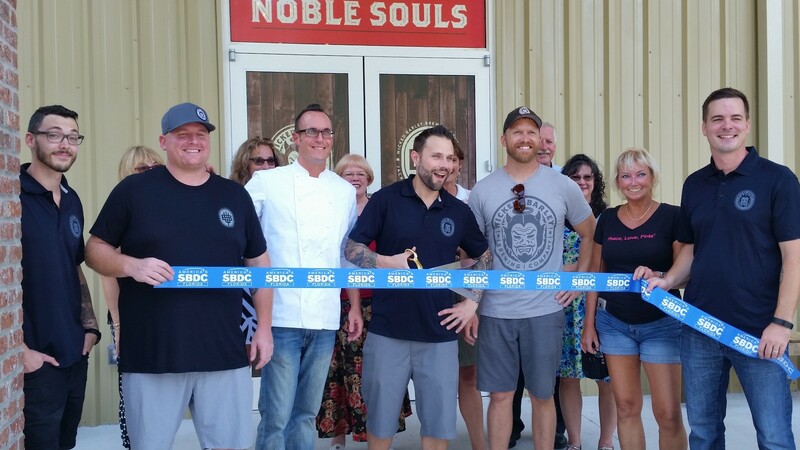 We were recently invited out to Wicked Barley’s before their grand opening on July 30th, 2016. 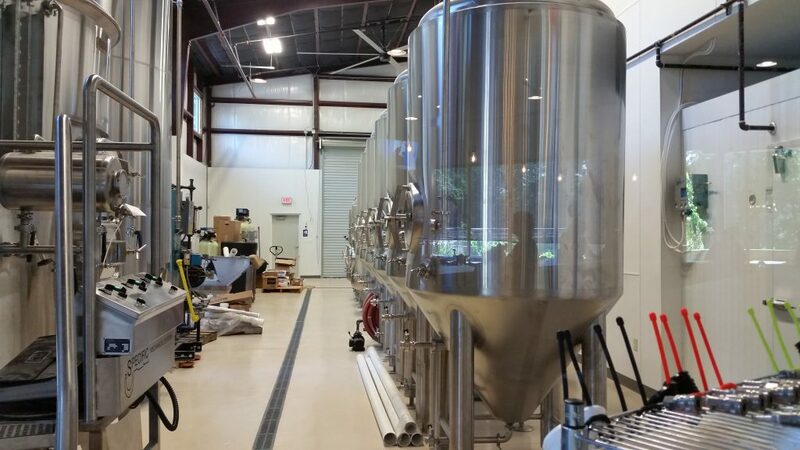 At the time of our visit, they weren’t licensed yet to brew and serve their own beer creations, but they hope to receive their license soon and begin serving all their own craft beer by September 2016. The mission of Wicked Barley is to provide the finest craft beer not just in it’s own restaurant, but in restaurants and storefronts around Jacksonville and beyond. Wicked Barley is located in the Southside of Jacksonville, in the Brierwood neighborhood on the corner of Baymeadows Road and Goodsby Creek. 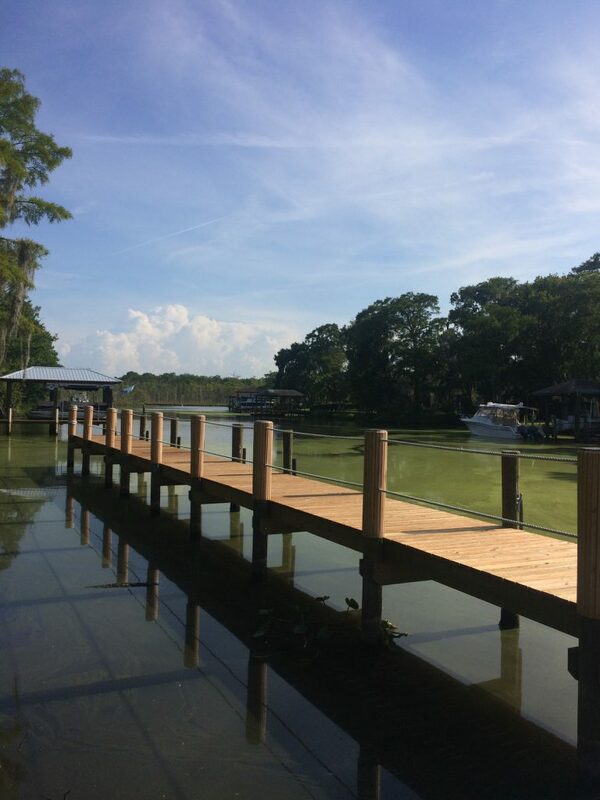 This location is unique since you can get to Wicked Barley by both car (via Baymeadows Road) or by boat (via Goodsby Creek). There is a dock behind the restaurant with enough room for about 10 boats to drop anchor. The moment you pull on the devil’s face to open the door, it’s immediate that crafting beer is a passion. To the left of the entrance is a 2200 square foot brewery. The bar is further ahead and has about 20 or so taps. The interior of the restaurant is decorated with beautiful wood finishes. It’s comfortable, warm, and inviting. At the front of the main dining room is a merchandise area with hats and T-shirts emblazoned with the Wicked Barley logo. Walking through the restaurant, there’s outdoor covered patio seating and a large beer garden seating area leading out to the back dock on Goodsby Creek. With the indoor and outdoor areas, there’s plenty of room for seating and entertaining. While brewmaster Philip Maple hopes to take over the world with their unique craft beers, chef and partner Bradley Sueflohn hopes to keep pace with a menu offering the type of food you’d find at a bar and grill, but prepared in a way you would never find in a bar and grill – sausages made and cased in house, pizza dough and flatbreads made fresh daily, sandwich bread provided by Boutique Du Pain, and brisket smoked in house on their competition caliber smoker. And what would a good gastropub be without something deep-fried? But deep-fried in healthier coconut oil? It’s just one more thing that Wicked Barley does to set themselves apart. The menu is small, but a perfect size. 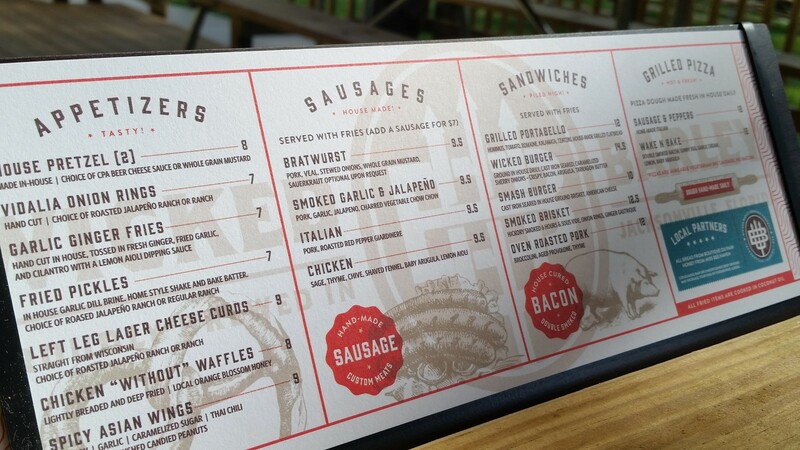 Wicked Barley offers seven appetizers, four types of sausages, five sandwiches, and two pizzas. I’m always leery of places with huge menus. Large menus tend to be “jack of all trades, master of none.” With the size of his menu, Chef Bradley can ensure great food made with quality ingredients. At tonight’s event, Chef Bradley took us on a tasting tour of a few appetizers and couple of the sandwiches. Sadly, the sausages weren’t available, but based on how the food was tonight, I do plan on going back and trying those. First item up was the Garlic Ginger Fries. 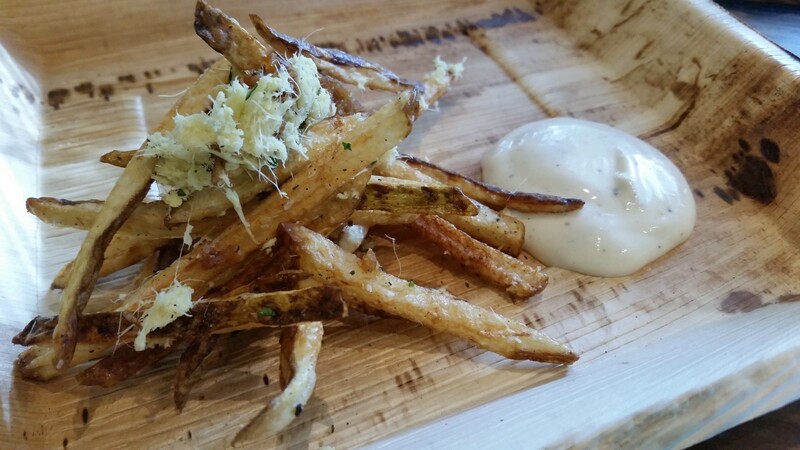 The fries were hand cut in house, deep-fried and tossed with shredded fresh ginger, cilantro, and fried garlic. It was served with a lemon aioli dipping sauce. It was a great start. The fries were hot and crispy. The fresh ginger may seem a bit too spicy for some, but dipping it in the lemon aioli tamed it a bit. Next were the Vidalia Onion Rings. Vidalias make a perfect onion ring; the sweetness of the Vidalia with the little saltiness of the breading made a wonderful match. The breading to onion ratio was spot on. The breading was crunchy and adhered to the onion nicely and didn’t flake off. It was also good enough on its own during those times when you bite into an onion ring, pull away and the whole onion comes out. 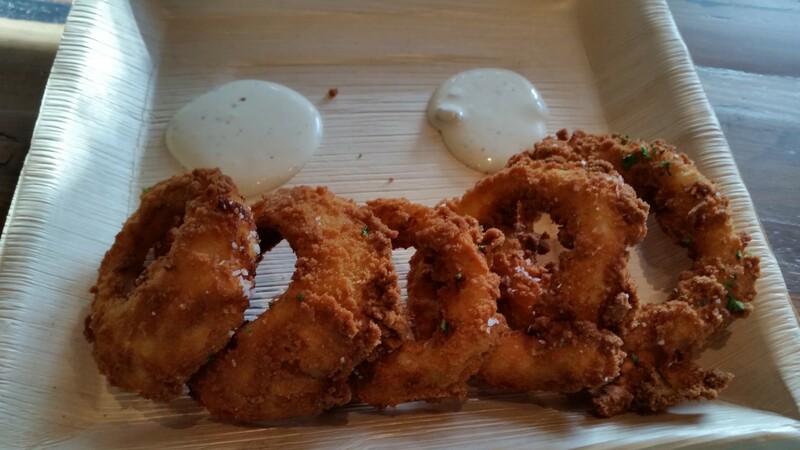 They were served with a jalapeño ranch dipping sauce that complimented the onion rings beautifully. Up next were the Left Leg Lager Cheese Curds. You can’t go wrong with a nice pile of deep-fried cheese curds. These were wonderful. They were perfect little salty bites of Wisconsin’s best cheese curds, deep-fried to golden brown deliciousness. They were also served with a jalapeño ranch dipping sauce. I’ll never eat those pedestrian mozzarella cheese sticks ever again. It’s cheese curds or nothing. A gastropub wouldn’t be a gastropub without chicken wings. And Buffalo wings are so last decade. Wicked Barley takes the humble chicken wing, and takes them up a notch. 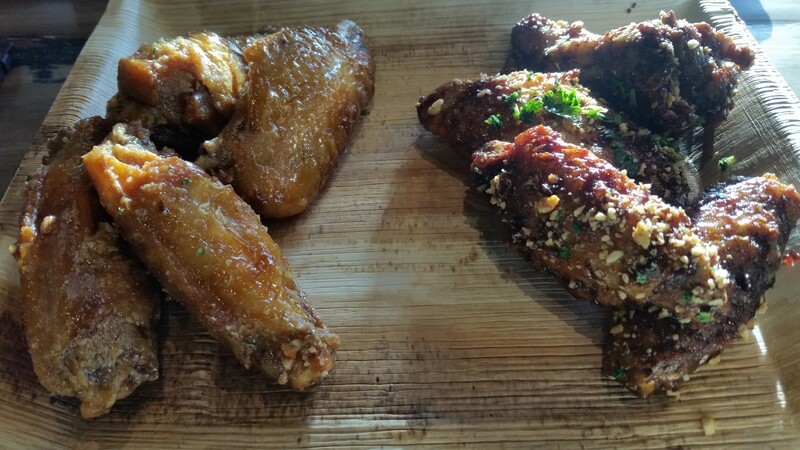 They offer a pair of wings on the menu: Chicken “Without” Waffles and Spicy Asian Wings. The Chicken “Without” Waffles are very lightly breaded, deep fried in coconut oil, and drizzled with local orange blossom honey from Miss Bee Haven, a local apiary. The Spicy Asian Wings are also lightly breaded and deep fried, but these wings are tossed in a dark soy sauce, garlic, caramelized sugar, thai chili, green onions and topped with crushed candied peanuts. First the Chicken “Without” Waffles. The skin was crispy on the outside, the meat beautifully cooked and tender inside. The orange blossom honey was a perfect compliment. I love salty/sweet combinations, and these wings were the best example of this combination. It also made me look up Miss Bee Haven honey and how I can buy it for my own kitchen. A perfect example of locals supplying locals so locals can by local stuff and keep money in the local economy. After I polished off the waffle-less wings, I moved on to the Spicy Asian Wings. These were also very good. The dark soy gave the wings a deep umami flavor, the caramelized sugar its sweetness. The thai chili did give a little spice, but it wasn’t blazing. It’s similar in heat to a thai chili sauce. The real surprise here was the crushed candied peanuts sprinkled on top. It added a wonderful crunch and sweetness. You’ll never go back to generic old teriyaki wings after eating these. From the first bite to the final surgical like precision of picking the meat from the bones, these were chicken wings I won’t soon forget. These chicken wings made my taste buds fly and were by far my favorite items offered tonight. I only regret that I have but one stomach to give for these wings. Up next was a nod for the vegetarians, the Grilled Portobello Mushroom Sandwich. The portobello mushroom was cooked sous vide style and finished on the grill. The result is a tender mushroom, but with body and texture. The sandwich is completed with hummus, tomato, romaine lettuce, kalamata, and tzatziki in between two pieces of house made grilled flatbread. It was creamy and delicious. 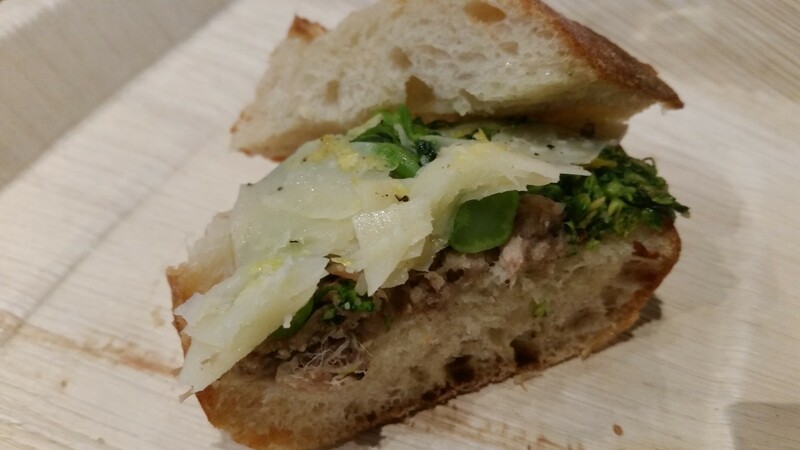 The final offering was also a sandwich, the Oven Roasted Pork Sandwich. The pork was prepared simply with salt, pepper, thyme and other spices. It was dressed with broccolini tossed in olive oil and lemon zest, and topped with aged provolone cheese. It was served on bread provided by local bakery, Boutique Du Pain, another great local supplier I’m going to Google later to see where I can buy their bread. This sandwich was simply made, but complex in flavor. The lemon zest in the broccolini added freshness and brightness. The pork was tender, with the thyme really shining through. This was a very strong offering by Wicked Barley. I was impressed with the simple and tasteful décor, the complexity of flavors with the food, and the clear vision of owners Brett, Philip, Chef Bradley, and Tobin. They knew exactly what they wanted to do, and based on my visit are well on their way to accomplish their goals. I definitely plan on returning to get a second go of the chicken wings and a first go at the sausages and pizzas. You may think you know “pub grub,” but until you go to Wicked Barley, you really know nothing at all. Tagged bar food, Beer (Breweries and Restaurants), brewery, Gastropub. Bookmark the permalink.